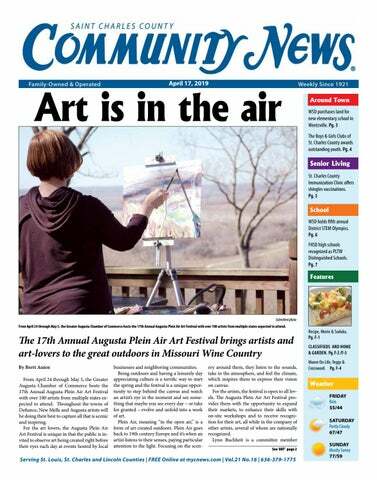 Submitted photo From April 24 through May 5, the Greater Augusta Chamber of Commerce hosts the 17th Annual Augusta Plein Air Art Festival with over 100 artists from multiple states expected to attend. Submitted photos From April 24 through May 5, the Greater Augusta Chamber of Commerce hosts the 17th Annual Augusta Plein Air Art Festival with over 100 artists from multiple states expected to attend. on April 30. Along with special events, there will be a Pop-Up Art Gallery at the Harmonie-Verein/American Legion Hall for viewing art and purchases daily. Art completed during the Annual Augusta Plein Air Art Festival will be on display and available for sale each day of the festival at the Harmonie-Verein/American Legion Hall in Augusta as well as on location at each event. Judging and awards and the Final Sale will take place May 5 at 11 a.m. at Mount Pleasant Estates and on that final day, a Youth Paint Out will take place at 1 p.m. However you slice it, it’s a great chance to escape to Missouri Wine Country where not only will you watch art being created but also have the chance to purchase the art straight from the easel. Whether you are a serious buyer or someone who just appreciates a swath of colors or a naturalistic scene, it’s unique in that you get to know the artists all while enjoying small town hospitality and soaking in the beauty of spring in Missouri. For more information, visit www.augustapleinair.com. Circulation Dominion Distribution, Papers Unlimited Community News is a Registered Trademark of Huneke Publications, Inc: Neither the advertiser nor the publisher is responsible or liable for misinformation, misprints, typographical errors, etc., herein contained. Huneke Publications, Inc. reserves the right to accept or reject all news and advertising copy which in the sole judgement and discretion of the publisher/ed itor is not suitable or deemed appropriate for publication. Copyright 2019 Huneke Publications, Inc. with all rights reserved. No part of the publications may be reproduced in any form without permission in writing from the publisher/editor. Publication of advertising contained herein does not necessarily constitute endorsement. Signed columns are the opinion of the writers and not necessarily the opinion of the publisher. Entire Contents Copyrighted. WSD purchases land for new elementary school in Wentzville The Wentzville School District has purchased 31 acres on Interstate Drive near South Point Prairie, where the district will soon start construction on a new elementary school. “This will be a great location for our next building,” said Wentzville Superintendent Dr. Curtis Cain. “As our enrollment continues to grow, we are increasingly grateful for the support of our community and stakeholders. This new school would not be possible without that support.” The WSD continues to be the fastest growing district in the state, adding on an average of over 500 new students each year since 2000. The purchase price of the property was $1,405,530 and the appraised value is $1,517,000 according to The Westover Group in St. Peters. “We are very pleased with the purchase price, given the appraisal and the location of the property,” said WSD CFO Pam Frazier. Photo courtesy Wentzville School District The Wentzville School District has purchased 31 acres on Interstate Drive near South Point Prairie, where the district will soon start construction on a new elementary school. Center, and Pearce Hall, as well as a new gymnasium at Holt High School. The district is in the process of forming a boundary committee made up of parents, staff and community members to help determine the new attendance areas for WSD schools. The tentative timeline calls for a recommendation to the Board of Education in December for new boundaries that will go into effect when the school opens in the 2020-2021 school year. complete nationwide and Missouri-specific rankings may be viewed at countyhealthrankings.org. The Department of Public Health and other community groups have been proactive in handling issues that contribute to poor health. The rankings noted that, although it may be below the state average of 22 percent, 17 percent of adult survey respondents within the county smoke. St. Charles County’s Smoke-Free Air Act of 2018 enacted by voters last fall and the health department’s educational programming for children are designed to decrease these figures in the future. In addition, the Division of Health Services’ opened its Health Services clinic last year to improve screening for communicable and chronic diseases and to provide recommendations for treatment options. To ensure the county continues to maintain its healthy status, the Department of Public Health is leading a community-wide effort called Mobilizing for Action through Planning and Partnerships (MAPP). The project includes assessment of the community’s current health status and availability of resources to identify priorities and develop strategies to meet residents’ needs. The strategic plan created through the process will be introduced later this year. For more information on the St. Charles County MAPP project or to participate in a survey about community health needs, please visit sccmo.org/MAPP or call 636-949-7400. Submitted photos (Left)Ashleigh Bick-Dawes has been named as The Boys & Girls Clubs of St. Charles County 2019 Youth of the Year. (Right)Mariah Diallo has been named as The Boys & Girls Clubs of St. Charles County 2019 Junior Youth of the Year. County through membership, active engagement in a leadership role for the robotics teams, and assistance at numerous events throughout the year. Mariah has been an active club member for four years and continues to grow in her leadership and willingness to help others. A founding member of the Book Club, Mariah organizes meetings and activities for other members. In addition, she frequently helps in the Learning Center providing support for other club members in math and reading. Mariah is involved in her school as a student council member and in the circle of friends. Inspiration Corner: Hero or hypocrite? rible now” forces us to make a choice. Will we continue to abuse or will we forge a path to recovery? When we choose to depart the land of shadows, we discover our eyes are unaccustomed to the light. This does not mean the light is not good. It only means our eyes need time to adjust. If guilt is the essence of darkness, forgiveness is the substance of light. “The people dwelling in darkness have seen a great light, and for those dwelling in the region and shadow of death, on them a light has dawned.” – Matthew the Apostle The Bible says Jesus was able to heal every disease but his specialty was forgiving sin. His message was one of peace with God. Why is this important? The “terrible now” is the absence of peace. It is that moment we realize we cannot save ourselves from imminent death. We must ask for help. Margaret Wolfinbarger is a wife and mother of three peculiar children. She lives in St. Charles and likes to shine light into dark places. side of the body, symptoms include fever, headache, chills and an upset stomach. In rare cases, the disease can progress into additional complications such as pain that lasts long after the rash clears, blindness, hearing problems, pneumonia, brain inflammation and death. Two doses of Shingrix, separated by two-to-six months between visits, are required to maximize protection. Medical studies have shown that the two doses were 97 percent effective against the virus for those 50-69 and 91 percent effective for those 70 and older. The protection provided remains above 85 percent for at least four years after receiving the second dose of the vaccination. The Shingrix vaccination costs $155 per dose – payable by cash, check or credit card (includes a service fee). For those with private insurance, the Immunization Clinic can bill providers, although the clinic may be considered outof-network. Located at 1650 Boone’s Lick Road in St. Charles, the Immunization Clinic provides Shingrix and other recommended vaccinations on an appointment basis for patients, regardless of residency. Appointments are available from 8:30 to 10:50 a.m. and 1:10 to 3:30 p.m. on Mondays, Wednesdays and Fridays. For information or to schedule an appointment, please call 636-949-1857. Submitted photo There is currently a nationwide shortage of the Shingrix vaccination that helps prevent shingles, but the Division of Health Services’ Immunization Clinic has obtained a limited supply of this vaccine that is recommended by the Centers for Disease Control and Prevention for those ages 50 and older. Open to Seniors and Adults 18+  PT, OT & Podiatry  Music Therapy  Art Therapy  Licensed Nurse on Staﬀ  Secured Facility  Medicaid Provider  Transportation available Call today and set up a visit! container labels before disposal. Tightly seal the cap on liquid products, such as cough syrup. Unused prescription medications are a risk to public health and safety, and are a potential source for illegal use. The safe disposal of unused medicine eliminates the possibility of drugs getting into the wrong hands and causing harm. Learn more at www.dea.gov. For more information on this event, contact Officer Melissa Doss at 636278-2244, ext. 3550, or mdoss@stpetersmo.net. e Changing Pointe Addiction Treatment Center TMS Treatment for Addiction 24 hour conﬁdential assessment with caring and compassionate counselors. No cost for the intial assessment. Most insurance plans accepted. Francis Howell High School, Francis Howell Central High School, and Francis Howell North High School have all been named Project Lead The Way (PLTW) Distinguished Schools for 2018-2019. The three FHSD high schools are among only 12 high schools in Missouri to receive this distinction for 2018-2019, and among only 50 high schools in the nation to be recognized for two consecutive years. “Our teachers, students, leaders, and parents have worked diligently to build our PLTW program,” said FHSD Director of Secondary Photo courtesy Francis Howell School District Education Dr. Luke Lammers. “Offering and Francis Howell High School, Francis Howell Central High School, and expanding several PLTW programs and seeing Francis Howell North High School have all been named Project Lead high levels of student success reflects the Dis- The Way Distinguished Schools for 2018-2019. trict’s commitment to college and career readi“It is a great honor to recognize these schools ness. Preparing students for the modern economy is important work. It’s nice to see that work and districts for their commitment to students,” said Vince Bertram, President and CEO of recognized.” PLTW is a nonprofit organization that pro- PLTW. “These are the leaders in what education vides a transformative learning experience for should look like, and they should be very proud more than 10,500 elementary, middle, and high of ensuring students have the knowledge and schools in all 50 states. The program empow- skills to be career ready and successful on any ers students to develop in-demand, transport- career path they choose.” PLTW’s recognition program is designed able knowledge and skills through pathways in computer science, engineering, and biomedical to honor districts and schools committed to increasing student access, engagement, and science. The PLTW Distinguished School recognition achievement in their PLTW programs. The is based on the number of PLTW curricular of- schools and districts recognized are empowferings available to students, the number of stu- ering students to thrive in an evolving world dents engaged in PLTW, and student success in and have achieved exemplary results from their PLTW programs. their PLTW coursework. their hours of operation, please call 636-757-5585 or visit their website at cherryblowdrybar. com. and is no different. The number one reason a fur rips and tears prematurely is the skins have dried out and become brittle. So remember, you’ve got your fur and you’ve made a great choice, but you need to protect your investment with proper care: storage, cleaning and conditioning. At the Fur and Leather Centre we regularly handle customer coats 30, 40, 50 years of age and more. Not only did the original owner enjoy the fur, but so often we have furs handed down as heirlooms to next generations. And guess what? We can take grandma’s old fur and restyle it into a whole new contemporary fashion piece and give it a whole new life. Now that’s way better than a landfill isn’t it? Sunday, April 28, 2019 2:00 p.m.
Ft. Zumwalt South High School Auditorium 8050 Mexico Road, St. Peters, MO Admission: Adults $10 Children 12 and under $5 Buy tickets online! Send your event to editor@mycnews.com and we'll print it! The First Capitol Lions Club Derby Day Party will be held at the American Legion Post 312 at 2500 Raymond Drive in St. Charles. Doors open at 2:30 p.m. Tickets are $30-per-person, and includes: food, beer, wine and soda. Win cash and prizes. Watch the Kentucky Derby Race at 5:30 p.m. Register online at: www.FirstCapitolLionsClub.org. For more information, please contact: Deb Sanders cell at 636-448-4194 or email debsanders1001@yahoo.com. The Holt High School Theatre Department will present Frances Goodrich and Albert Hackett’s “The Diary of Anne Frank” on April 17, 18 and 19. This drama will be performed by an all-school cast and crew each evening beginning at 7 p.m. The performance will be held in the C.H. Jones Auditorium. Admission is $6 for adults and $3 for students. Tickets are available at the door. The Presidential and Missouri Gubernatorial elections of 1860, which plunged the country into Civil War, will be the topic of a presentation sponsored by the Civil War Round Table of St. Charles. The meeting begins at 7 p.m. at the McClay Road Branch of the St. Charles City-County Library at 2760 McClay Road in St. Charles. For more information contact Doug at historynutt@hotmail.com or call or text 636290-0710. The St. Charles County Parks and Recreation Department invites adults and children ages six and older to learn all about pollination at “Pollinator Party” from 1–2:30 p.m. at Towne Park at 100 Towne Park Drive in Foristell. The program is free, but pre-registration is required. For more information or to register, visit http://bit.ly/2019PollinatorParty or call the parks department at 636-949-7535. Open and free to O’Fallon residents enrolled in the city’s trash collection service, items too large to fit into residents’ curbside trash containers can be brought to the O’Fallon waste transfer station from 7 a.m. – 3 p.m. The waste transfer station is located at 1572 Progress West Lane Visit www.ofallon. mo.us/bulk-waste for directions and future drop-off dates. For questions contact Environmental Services at ofallonrecycles@ofallon.mo.us or 636-2720477. O’Fallon: Game On is open to teens age 13 – 18 and will offer more than a dozen activities including the latest video games, extreme inflatable challenges, oversized versions of yard games and more. Tickets are $20 in advance or $25 at the gate on the night of the event, which will take place from 7 p.m. – 10 p.m. at CarShield Field at 900 T.R. Hughes Boulevard in O’Fallon. For more details or to purchase tickets, visit www.ofallon.mo.us/game-on or call 636-379-5606 or 636-474-2732. A rummage and bake sale will be happening at Grace UCC at 8326 Mexico Road in O’Fallon from 8 a.m. to 1 p.m. There will be a free will offering for the “treasures” you choose. For more information, call B. Warren at 636-561-3038. The Child Center, Inc., a nonprofit organization that provides services to children victimized by abuse and neglect will host its annual gala, to raise much-needed funds to continue fighting child abuse. The black-tie gala will be themed around a Kentucky Derby garden party and guests are encouraged to wear bow ties and hats while enjoying themed drinks and appetizers, a three-course dinner, an impressive live and silent auction, and entertainment by the Downtime Band. The event will be held at the St. Charles Convention Center in St. Charles and is open to the public. To become a sponsor, donate an auction item, or to learn more about attending the event, please visit www. thechildcenter.com/gala. Touch A Truck – Free Community Event takes place at Messiah Lutheran School in Weldon Spring from10 a.m. – 2 p.m. Provides a unique opportunity for children to explore vehicles of all types including public service, emergency, utility, construction, transportation, delivery and just plain cool – all in one place. Quiet time for children with sensitive hearing will take place from 1 – 2 p.m. Children will be allowed to touch their favorite vehicles, get behind the wheel, and meet the people who help build, protect and serve our community. Trap shoot sponsored by The Charitable Community Fund for O’Fallon Kiwanis will be held at the Gateway Gun Club at 13547 Missouri Bottom Rd. in Bridgeton. Start time is 8 a.m. Entry fee is $40. Two rounds of trap per person, additional games including Annie Oakley Trap Game, 50/50 and gun raffle. Cash prizes for high, mid and low scores. Register online at https://ofkiwanis.com/trap_shoot. For more information call Tom Page 636-515-9158. 4 at 2 p.m. and 7 p.m. and on May 5 at 2 p.m. Admission is free and open to the public. Seating is first come, first served. Doors open 30 minutes before each performance. The church is also collecting hats, scarves, and turbans for the American Cancer Society during the performance weekend. Wentzville Christian Church is located at 1507 Highway Z (1 mile south of I-70). For more information call 636-327-6622 or visit www.wentzvillecc.org. Friedens is hosting a benefit shrimp boil at 1703 Old Highway 94 South in St. Charles. It will benefit the Emmaus Homes, Inc. The doors open at 5 p.m. and the meal will begin at 6 p.m. There are a limited number of tickets so call 636-946-2884 by April 30 to get your reservations. St. Robert Bellarmine Ladies Council is hosting their annual card party. Doors open at 10:30 a.m. with lunch being served at 11:30 a.m. Price is $12 (lunch included). There will be attendance prizes. For reservations contact Cathy at 636-723-0436. St. Robert Bellarmine is located at 1424 South First Capital Dr. in St. Charles (at corner of S. Hwy. 94 and Sherman Dr.). Lift Disability Network will host A Celebration of Heroes from 9 a.m. – 1 p.m. at The Summit STL Church at 927 E. Terra Ln. in O’Fallon. During this free event there will be yard games, and meet local first responders and see their vehicles and equipment. There will also be a blood drive. At least 15 donors are needed to be signed up prior to May 18. Email Delaine (delaine@liftdisability. net) or Jayme (jayme@liftdisability.net) to sign up for your preferred time slot. For more information call 314-3901881. Bring your toddlers and preschoolers ready to learn and discover at the city of O’Fallon’s Annual Public Works Fair from 10 a.m. to 2 p.m. in the Ozzie Smith Sports Complex parking lot at 890 T.R. Hughes Blvd. This free, kid-friendly and educational event is open to the public, and will highlight how city services are provided for everyday activities, from driving on the streets, to taking a drink of water, to the trash and recycling trucks that pick up curbside disposals. All activities are free, including hot dogs, chips and water. The Wentzville/Lake St. Louis Optimist Club meets on the second and fourth Monday of each month at 6:30 p.m. at the Wentzville Schnuck’s meeting room located on Wentzville Parkway in Wentzville. For more information contact Ed Jurotich at 314-560-1868. Take off Pounds Sensibly (TOPS) meets every Monday from 9:30 - 10:30 a.m. Weigh-ins begin at 8:30 a.m. We meet at Memorial Hall in Blanchette Park at 1900 Randolph St. in St. Charles. For more information contact Joyce at 636-206-5306. TOPS meet every Monday at Holy Cross Lutheran Church at 8945 Veterans Memorial Hwy in O’Fallon. Meetings at 9:30 a.m. with weigh in beginning at 8:30 a.m. For more information please call Linda Wilcox at 636-447-9056. St. Peters Senior Center plays bridge from 9 a.m. to noon on Monday and Thursdays, and would love to have any player, regardless of skill level, to join in. Call Mary Ann at 636-397-0866 if you are interested in playing on Monday or Thursday morning. Meets the fourth Monday of the month at 6:30 p.m. at American Legion Hall, 607 Westridge Dr., O’Fallon, 636-2190553. Because I Love You, (BILY), Gateway parent support group meets every Monday at 7:30 p.m. at First United Methodist Church at 801 First Capitol Dr. in St. Charles. For information and directions, please contact the helpline at 314-993-7550 or email gateway_parent_help@yahoo.com. BILY is a program of self-help for parents of troubled children (all ages). We are not professionals, but parents helping each other. The meetings are free to attend. 10 a.m. - 12 noon at the ST. Charles Health Deparment in the Upper Level Conference room. Measurement Mondays is a family-friendly breastfeeding support group. We are open to all moms and moms-to-be who are breastfeeding or interested in breastfeeding. The group is supported by the St Charles County WIC program so there will be information about the program available at each meeting. Each meeting will be a little different than the last. There will be baby weigh-ins, introductions, games, interactive education, group conversation, and even snacks. If you have mental health concerns and need support, please come on Mondays at 6:30 p.m. at Friedens United Church of Christ at 1703 Old Highway 94 South in St. Charles. If you want to drink, that’s your business. If you want to stop, we can help. Call Alcoholics Anonymous at 636970-0013. Choral Arts Singers resume practice on Mondays, at 7 p.m. at Transfiguration Episcopal Church, 1860 Lake St. Louis Blvd. in Lake St. Louis. New singers are welcome. Auditions are not required. See www.concertarts.org. Business meetings are held on the first Monday of each month (second Monday in September due to Labor Day) unless otherwise specified. No meetings are held in June, July, or December. Meetings are held in the Community Council Building (Second floor of the Spencer Branch Library) from 6:30 - 8:30 p.m. For more information contact Beverly Kaskadden (Treasurer) at 636-561-6947. Noon at St. Peters City Hall, One St. Peters Centre Blvd. www.stpetersrotary.org. Mondays, Wednesdays and Fridays: Fitness First Exercise Class 9:30-10:30 a.m., American Legion Hall, 504 Luetkenhaus Blvd., Wentzville. 314-369-6521. Every Monday and Wednesday a Tai Chi for arthritis class, sponsored by the city of St. Charles Parks and Recreation, takes place from 9:15 - 10 a.m. at Webster Park across from the Family Arena. This is a class that is taught nationally to manage arthritis and to prevent falls. For more information call 636-949-3372. Meets every Tuesday, 12:30 – 3:30 p.m. at The Falls Golf Course Clubhouse. Relaxed, friendly play and is open to all. Call 636-561-2970 for more information. Please join us on the third Tuesday of each month from 11 a.m. - 2 p.m. for a gathering for senior adults. There will be lunch (no charge), cards and bingo (no charge), community program referrals, occasional health and wellness presentations and clergy available upon request. The event takes place at Church of the Transfiguration at1860 Lake St. Louis Blvd. in Lake Saint Louis. For more information call 636-5618951. Gateway Spotlight is a women’s a capella chorus that meets at First United Methodist Church at 801 First Capitol Dr. in St. Charles every Tuesday evening beginning at 7 p.m. Call 636-2566823 for more details. The St. Charles Optimist Club meets each Tuesday at noon at Pio’s Restaurant. For more information contact Jack Ross at 314-287-0569 or jackross@att.net. Looking for an evening out? Come and play cribbage Tuesdays at 6 p.m. at Rookies at 15358 Veterans Memorial Pkwy in Wentzville. Win prizes and awards with semiannual tournaments. ACC sanctioned. For more information contact Dee at 636-233-8032.
for coffee, pastries and camaraderie. Come meet with fellow veterans who served our country and share your experience. If you have mental health concerns and need support, please come on the third Tuesday of each month at 7 p.m. at Grace United Church of Christ at 8326 Mexico Rd. in St. Peters. 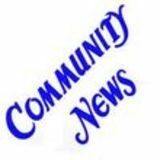 Cottleville Weldon Spring Kiwanis Club meets the first Tuesday of the month at 6:00 p.m. and the third Tuesday of the month at 11 a.m. Both meetings are at Rack House Kitchen Wine Whiskey. New club looking for new members who want to better our community. Contact Christy at 314583-0538. 12:05 p.m. at Bogey Hills Country Club in St. Charles. Kiwanis is a global organization of volunteers dedicated to improving the world one child and one community at a time. The group is looking for new members who want to better our community and help its youth. If you are interested in making a positive impact in St. Charles for generations to come, please come for lunch. For more information call 636448-4277. You can also visit http://stcharleskiwanis.com. 1-4 p.m. Free. Quilt for local charities. No sewing experience required. 7 p.m. at the Midwest Bank Centre Board Room at 2299 Technology Blvd., O’Fallon, MO 63368. Info: 636379-2505. The group meets on third Tuesday of every month from 10-11:30 a.m. at the Alzheimer’s Chapter Office at 9370 Olive Blvd. For more information about Alzheimer’s disease, support, or the Male Caregiver Experience, please call the Alzheimer’s Association’s 24/7 Helpline at 800-272-3900 or visit www. alz.org/stl. Registration is requested before the first meeting. On the first and third Tuesday of each month a social club for widows and widowers meets at 7 p.m. at St. John’s United Church of Christ at Fifth and Jackson Streets in St. Charles. On the first Tuesday there are refreshments and on the third Tuesday there is either a speaker or entertainment. The group also goes to breakfast, lunch and dinner monthly, and has a pot luck dinner each month. Veterans from all branches of service are invited to the Wentzville Green Lantern Senior Center at 506 S. Linn Ave. in Wentzville on the second Tuesday of each month from 9 – 10:30 a.m. If you are an Orthodox Christian in St. Charles County who no longer attends your original parish due to distance, please contact us. If you have an interest in the Orthodox Christian Church, or simply curious and would like to know more, get in touch with us (we promise we won’t “pester” you). Also, while we are presently using a small space in St. Peters, graciously provided by a small business, we are looking for a more permanent location where we can hold services without having to pack-up after every service. If you have a location that we could use without cost, we would greatly appreciate it (500 – 700 square feet would help us get started). We need to be in O’Fallon, Lake St. Louis, or Wentzville. Sports you see with Gary B... University of Missouri-St. Louis tennis player flirting with history UMSL swept both Truman State and Quincy recently in tennis play. Senior Salome Bleuler picked up her 75th career singles victory on Saturday. With the win, she moves within four of tying the program’s all-time singles victories record of 79. Prior to the match, Bleuler was honored as part of Senior Day festivities. The Tritons (9-4, 2-2 Great Lakes Valley Conference) will host Southern Indiana in an upcoming non-conference contest before concluding the GLVC schedule at William Jewell and Rockhurst. ~~~Nice goal to achieve Lindenwood women qualify for the fifth time The Lindenwood University gymnastics team advanced to the USA Gymnastics Women’s Collegiate Team Finals for the fifth consecutive season recently from Bridgeport, Connecticut. The Lions were one of two teams to advance from the first semifinal meet and by reaching the finals Lindenwood had five gymnasts qualify for the upcoming individual competition. Top performers include: Bars - Katie Bailey; Beam- Katie Bailey; FloorAleah Leman; Vault- Jordan Boogerd; AllAround- Ryan Henry Highlights: •	Boogerd led the Lions on the vault to tie for first place. •	Bailey established a new career-high on the vault to finish in third place overall. •	Bailey also had the top score for Lindenwood on the beam, where she again established a career-high score and finished in third place in the event. •	Andavea Alexander and Henry tied for fourth place. •	Leman on the floor was tied for fourth place overall. Gary Baute, a St. Louis native, may be educated in business but he lives and breathes sports. As a fan or an athlete, Gary is all sports all the time. He hosted a radio sports program on KFNS, emceed the River City Rascals’ inaugural season, and co-hosted SportsRadioSTL.com, among many other activities. Fill in the blank squares in the grid, making sure that every row, column and 3-by-3 box includes all the digits 1 through 9.
hopped vegetables and cheese make for a winning combo in this appetizer. This recipe is easy to customize using vegetables that are in season. Directions: Preheat oven to 350 degrees. Spray cookie sheet or jellyroll pan with non-stick cooking spray. Pat crescent roll dough into the pan. Pierce with fork. Bake for 10 minutes, cool completely. In a medium sized mixing bowl, combine greek yogurt, cream cheese, dill weed, garlic powder, and ranch seasoning mix. Spread this mixture on top of the cooled crust. Arrange vegetables on top of the yogurt/cream cheese mixture. Sprinkle grated cheddar cheese on top. Cover and chill. Once chilled, cut into squares and serve. Born and raised in South St. Louis, Steve Bryan is now based in Anaheim, California, and has been allowed access to movie and television sets to see actors and directors at work. Though his writing has taken him far from St. Louis, Steve is, at heart, still the same wide-eyed kid who spent countless hours watching classic movies at neighborhood theaters. Marvel. Bruce Banner and his green alter ego are now part of the MCU, but Universal still has distribution rights to the character. That means Universal would be involved on any solo “Hulk” film. Fans may need superpowers to get a seat on opening weekend. Some enterprising ticket holders are even selling prime opening night seats on eBay. Patience is virtue and a Sunday afternoon or evening screening seems like the more prudent option. “Avengers: Endgame” is going to rule the box office for quite a while. STATEWIDE CLASSIFIEDS NOVENA PRAYER TO ST. JUDE May the Sacred Heart of Jesus be adored, glorified, loved and preserved throughout the world, now and forever. Sacred Heart of Jesus, Pray for us. St. Jude, Worker of Miracles, Pray for us. St. Jude, Helper of the Hopeless, Pray for us. Say this prayer 9 times a day for 9 days, then publish. Your prayers will be answered. It has never been known to fail. Thank you, St. Jude. R.H.
AREAS OF CIRCULATION Our FREE publications are available in over 700 convenient locations, including every Dierbergs, Schnucks and Shop ’N Save. ‘Yeggs’ is a comic series about Robert and Bill, two rabbits who have opened their own egg franchise in the Midwest (St. Louis area). We follow their day to day lives, watching as they go about the hectic task of preparing for their one big day every year. Along the way they have adventures filled with fun, comic doings and pathos. “That’s awfully vague.” “Do I detect sass? That’s a definite hit on my sass-o-meter. We just may have to drop your chair off at the nearest interstate off-ramp and believe me, it will be raining.” “I profusely apologize.” “Now, let’s try again. Next month between Monday and Friday between daylight and midnight.” “Hey! I thought you said Thursday?” “Next month’s looking bad…maybe July.” “I beg your humble forgiveness!” “Accepted. Let me suggest you just stay home the entire month of May. Now if you are not there when we come to your house you will be charged a fifty dollar inconvenience fee. Afterwards, I’ll take the furniture home and let my kids spill red Kool-Aid on your throw pillows and allow Clyde, my Rottweiler, to use the legs as chew toys. Is that clear?” Never schedule delivery. Happy free advice day everyone. That’ll cost you fifty bucks! Cindy Moore is the mother of three superlative kids, servant of two self-indulgent felines and wife to one nifty husband. Her ficticious occupation? Archeological Humorist: someone who unearths absurdity and hilarity in strange and unusual places including public restrooms, the lint filter, and church meetings. Most recently, she excavated a find in her neighbor’s bird feeder. The opinions expressed in this column are Cindy Moore’s alone and do not reflect the opinion of the owners or staff of Community News.